At the end of 2015 the US National Security Archive published a declassified document from 1950s listing nuclear strike targets on the territory of the USSR and its allied countries. It listed 1,200 cities from Eastern Germany in the west to China in the east. Moscow topped the list with Leningrad (St. Petersburg) to follow: there were 179 «designated ground zeros» for atomic bombs in Moscow and 145 in St. Petersburg. The nuclear weapons would have ranged from 1.7 to 9 megatons (for comparison, the bomb dropped on Hiroshima on August 6, 1945, codenamed Little Boy, was roughly 0.013-0.018 megatons). The declassified document is the SAC (the Strategic Air Command) Atomic Weapons Requirements Study for 1959, produced in June 1956. Those days the SAC was headed by General Curtis Emerson LeMay known for planning and executing a massive bombing campaign against cities in Japan in the final days of the WWII. For instance, on the night of 9–10 March (“Operation Meetinghouse”) cluster bombs released roughly 1500 incendiaries in a few hours. Over 100,000 people are estimated to have died as a result of fire and blasts. It was LeMay who ordered his subordinates to deliver those strikes. He said once, «I suppose if I had lost the war, I would have been tried as a war criminal». Scott Shane writes in an article published by the New York Times, «Targeting civilians has often been viewed as a way of undermining enemy morale, prompting a revolt or surrender – and conceivably leading to a shorter war. And so the large-scale bombing of civilians has sometimes been defended on humanitarian grounds, even after the fire bombings of Tokyo and Dresden, Germany, and the atomic bombs dropped over Hiroshima and Nagasaki». That’s how it was, but those days Germany and Japan were at war with the United States. In 1956 there were no hostilities between the Soviet Union and the United States of America. In the middle of the 1950s the USSR possessed neither intercontinental ballistic missiles, nor long-range bombers capable of reaching the continental USA. The first Soviet Badger-A (Tu-16) or Bison production bombers entered service with frontal aviation in 1954. The aircraft could carry a single atomic bomb weighing 5 tons to a distance of only around 2,500 km (1553 miles). Tu-95 with a range exceeding 12 thousand km (7456 miles) went into service in September 1957. At that, the US nuclear arsenal (warheads) exceeded the one of the Soviet Union tenfold. Back then the US Air Force was capable of delivering strikes at the Soviet Union using numerous military bases located along the Soviet borders in Europe and Asia. The US Strategic Air Command planners assumed in 1959 they could strike with 2,130 B-52 and B-47 bombers, RB-47 reconnaissance aircraft, and F-101 fighter escorts. In addition, there would be 376 nuclear-tipped cruise and bomber-launched missiles, as well as early intermediate-range missiles. The SAC was fixed on knocking out Soviet air power before it acquired intercontinental delivery means. The study lists 1,100 airfields within the former Soviet bloc. In case the Soviet Union refused to surrender, the United States would continue to regularly bomb urban and industrial areas for systematic destruction. The Soviet air power was the highest priority for nuclear targeting. The report’s detailed introduction explained that the priority given to Air Power (BRAVO) targets dictated the surface bursting of high-yield thermonuclear weapons to destroy priority targets, including airbases in Eastern Europe. That tactic would produce large amounts of radioactive fallout compared to bursting weapons in the air. According to the study, «the requirement to win the Air Battle is paramount to all other considerations». National Security Archive researchers note that the SAC plan specified «the ‘systematic destruction’ of Soviet bloc urban-industrial targets that specifically and explicitly targeted ‘population’ in all cities, including Beijing, Moscow, Leningrad, East Berlin, and Warsaw». East Berlin was on the list together with other cities beyond the Soviet borders and included 91 designated ground zeros. The researchers point out that «Purposefully targeting civilian populations as such directly conflicted with the international norms of the day, which prohibited attacks on people per se (as opposed to military installations with civilians nearby)». There’s nothing to be surprised about here. Just look at the General LeMay’s «service record». 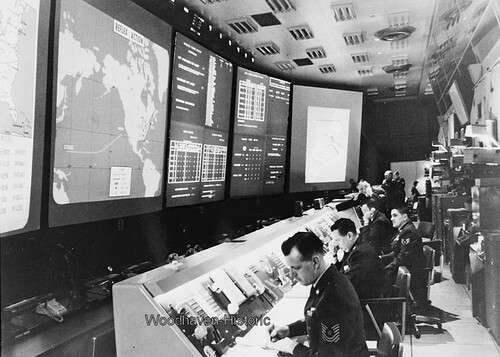 In the capacity of SAC commander he ordered to prepare Operation Dropshot – a contingency plan for a possible nuclear and conventional war with the Soviet Union and its allies. Dropshot was ready in 1949 to include mission profiles that would have used 300 nuclear bombs and 29,000 high-explosive bombs on 200 targets in 100 cities and towns to wipe out 85 percent of the Soviet Union’s industrial potential at a single stroke. Between 75 and 100 of the 300 nuclear weapons were targeted to destroy Soviet combat aircraft on the ground. b. To bring about a basic change in the theory’ and practice of international relations observed by the government in power in Russia. If these two objectives could be achieved, the problem which this country faces in its relations with Russia would be reduced to what might be considered normal dimensions». Actually the dismemberment of the Soviet Union and the appearance of the post-Soviet Russia have changed nothing. It’s enough to remember the Prompt Global Strike concept to knock out the main military, political and economic objectives of the potential adversary (i.e. Russia) using high precision long-range conventional weapons. For many years the country (be it the Soviet Union of Socialist Republics Russia or the post-Soviet Russia) has been viewed by the United States as an existential threat destined for destruction, or, if destruction was not possible, for «containment».